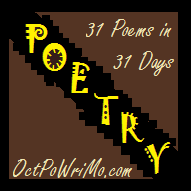 Dear reader, today is Day 12 of #OctPoWriMo. I have surprised myself by getting this far, and pleasantly so. With today's poem, I feel that my ability to really craft words is coming back. Our theme today is 'tortured' in connection with love. This poem caused me to do some real introspection. I chose to use the harder of the two suggested forms, that being a terza rima. It has 11 syllables in each line with a rhyme scheme of aba, bcb, cdc, dd. I hope you enjoy today's piece. to handle. Without help, the future is grim. flowers open up; color graces the land. Warmth builds hope; optimistic faith it creates. Winters love. 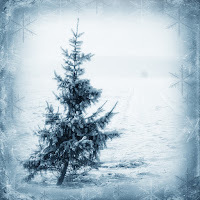 Cold and harsh; can any withstand? Spring and Autumn both appease and afflict. Summer’s kiss ignites a passion. Love is grand! More summer than spring, it was me that you picked. Love the way you weave season and sentiment so seamlessly here. Thanks for sharing! The analogy of seasons makes this a wonderful read. That is a beauty, Rod! Beautifully woven expressions. you're definitely back in the poetry groove. I love the seasonal imagery.